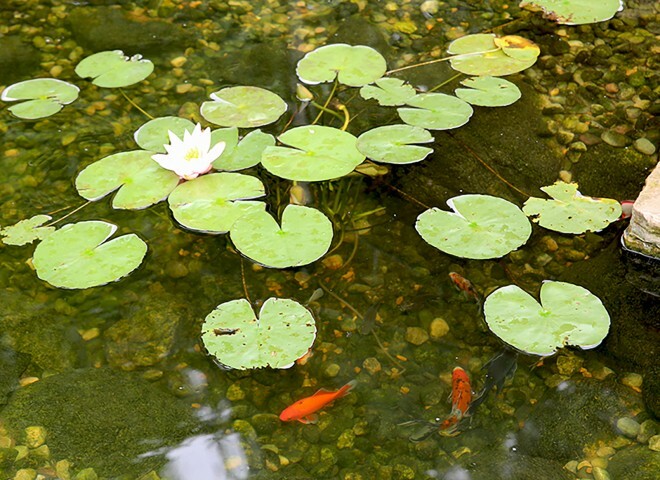 Chances are, if you have a pond, keeping your water clean has been a headache at one point or another. And maybe you’ve even resorted to using chemicals. But do you really need to use chemicals to keep your pond water clean? An ecosystem pond is a micro-environment; it depends on producers (ex. pond plants), consumers (ex. fish, insects, frogs), and decomposers (bacteria, fungi). When one part of the ecosystem is not present, or the percentage of one population is too high, the whole ecosystem will be affected (you can see this with visible problems in your pond). So, making sure your pond is built to be an ecosystem pond is an important first step, and if it already is an ecosystem pond and you’re having water issues, then a population may be under or over populated. Just like with phones, there are always new and improved versions of pond products coming out. 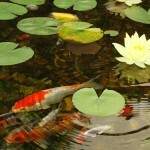 We bet, if your pond is 3 years or older, that your pond could use new and improved filtration. Older ponds were installed with what were considered the ‘Cadillac’ in pond filtration, now those ‘Cadillac’ products, have been upgraded to ‘Tesla’ products. So, before you consider using chemicals to keep your pond water clean, consider upgrading your biofalls (to increase water flow), upgrading your skimmer, changing out your filter media, or even adding an ionizer (to reduce algae), or a decorative feature (to increase water flow). While the ecosystem ponds we build are considered low maintenance, there will always be some type of maintenance to be performed. Just like a check up with your doctor, dentist, or auto mechanic, your pond needs a check up by a pond professional. 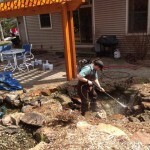 We recommend having your pond cleaned twice a year, once in the spring and again in the fall. We always check for existing issues, and look for anything that may become a problem in the future. We never recommend using chemicals like chlorine or bleach in any pond (most chemicals are not friendly to animals or plants that live in or around water, nor the environment). We do recommend using environmentally friendly alternatives, like adding beneficial bacteria. If your pond water doesn’t stay clean, contact us and we can find a solution to your pond problem.